Considering the extent to which technology shapes our world, Mother Nature still has a surprisingly large impact on the way we live. All too often, we’re at the mercy of the weather, as pollen turns a pleasant spring day into a survival challenge or freak storms rampage through town. Happily, ever vaster stores of weather data and analysis make it easier and more accurate than ever to prepare for weather of all kinds—rain or shine, tornado or tropical cyclone. 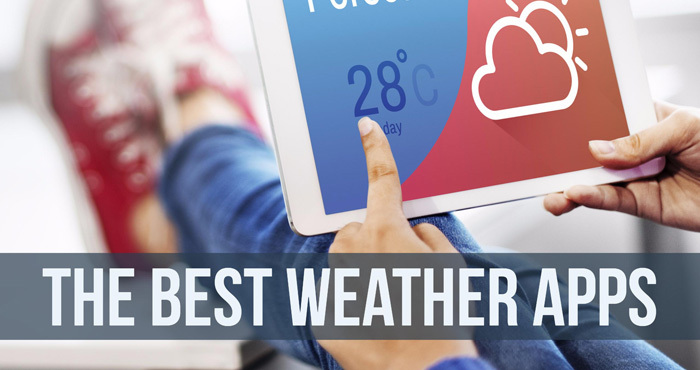 We’ve rounded up the best weather apps and sites to help you tune in to local conditions, whether you’re going to work, tracking a storm or trying to figure out if you should pop that antihistamine. 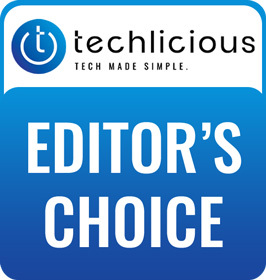 Sleek, minimal home screens for the app and site are enough to recommend AccuWeather as your at-a-glance daily report. The apps has an animated sky background that reflects the present weather conditions, you get the current conditions, temperature (plus “RealFeel”) and the day’s high and low. Swiping down on the home screen reveals detailed info including the UV index and humidity and cloud levels, handy for analyzing whether the beach is worth the trip. You’ll also see wind speed and direction, barometric pressure and visibility. These can be toggled on or off to streamline the data points you see. Further down the screen, you can check out weather news as well as hourly and five-day forecasts. Enabling background notifications allows extreme weather alerts to be pushed to your device live. If you have more substantial weather chops, you’ll enjoy the satellite and radar weather maps for doing some storm crystal-gazing of your own. Whether you live along Tornado Alley or in balmy SoCal, climate change is beginning to make itself felt in unpredictable weather and rogue storms. You can check in at the Red Cross Weather and Hazard Center for the severe weather forecast for conditions ranging from thunderstorms to wildfires to tsunamis. And if you're in a tornado-prone area, make sure to install Tornado by the American Red Cross. 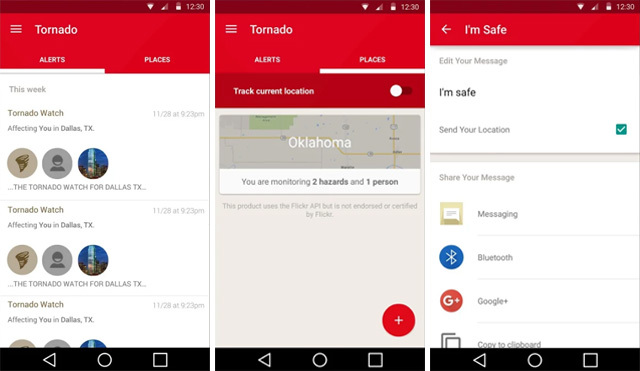 The app sounds a siren when there’s a government-issued twister warning for your location (or a location you choose) as well an all-clear alert when it’s clear to leave your safe room. The app contains step-by-step safety directions in the event of a tornado plus tips for preparing an emergency kit. 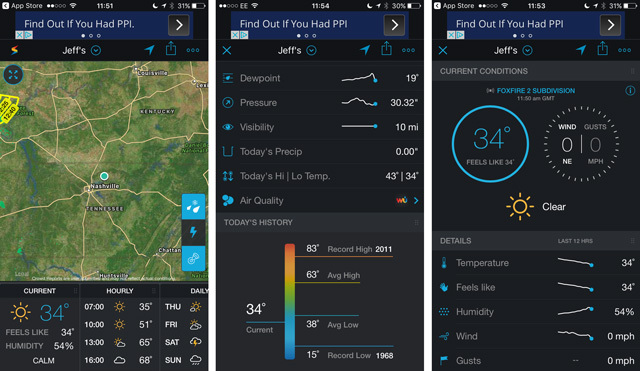 To help you keep watch for inclement weather in general, Weather Underground is our pick. Not only does the site have details severe weather maps and information, but Weather Undergroud's app, Storm Radar sends push notifications in case of extreme rain or lightning, including U.S. and Canadian government weather warnings. Warnings are based on your GPS location, determined via location tracking, or a destination you select, handy if a loved one lives in a particularly storm-prone region. From the same team behind the highly detailed Weather Underground app, Storm Radar delivers tons of detailed weather data including temperature (and “feels-like” figures), humidity, wind speed and direction, gusts, dew point, pressure, visibility, precipitation, highs and lows and historical average and record temperatures for that day. There’s an hourly forecast as well as a 14-day forecast. For hay fever sufferers, the end of the cold, dark winter heralds the start of explosive sneezing, swollen eyes and breathing troubles. 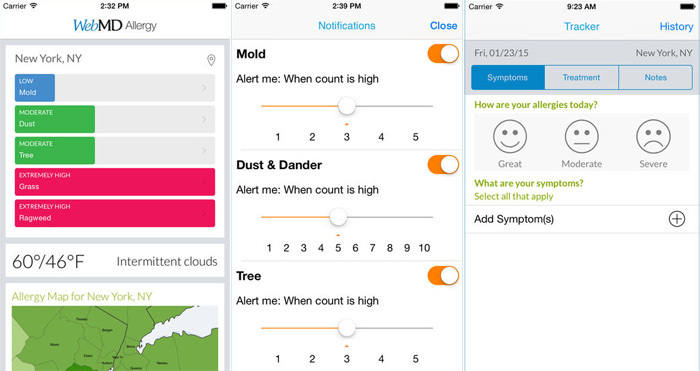 The WebMD site and WebMD Allergy app deliver a daily forecast of local allergens. The app provides a much more custom experience. Since not all hay fever is created equal—for example, tree, grass and ragweed pollen are each tracked separately—you can select forecasts for specific allergens, be they plant-, dust- or insect-based. Create forecasts for each member of your family customized to their allergens and location. A tracker section lets you record symptoms you experience each day, which can be useful if you’re not sure what exactly you’re allergic to. The app includes tips for dealing with allergies. Weather reports can be so (ahem) dry, so the Swackett app parses current conditions into sartorial advice. 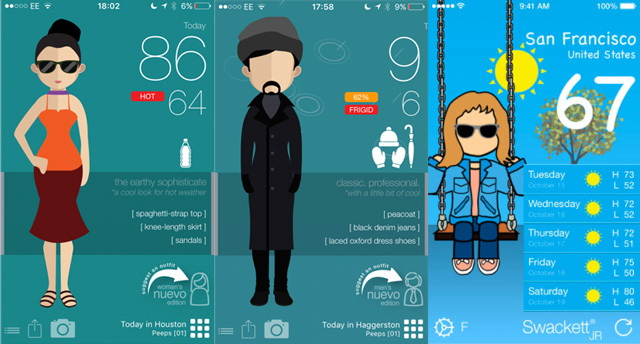 In New York, when it’s “frigid,” the Swackett weather report shows an avatar with style note—for example, “classic, professional with a little bit of cool.” You’ll also get weather-friendly clothing suggestions: “short pea coat, black denim jeans, Beatles Chelsea boot.” Over in hot Houston, the advice leans toward “earthy sophisticate” with spaghetti straps and a knee-length skirt. Sunblock and water bottle icons appear on days when conditions dictate. Tapping on “Tonight” changes your avatar’s outfit to match; otherwise, the outfits don’t update unless the weather changes. But with a link for app users to send in outfit suggestions, maybe there’ll be a wardrobe expansion soon. A full rundown of weather conditions is embedded in the visuals, including sunrise and sunset, wind gusts, speed and direction, the chance of rain or storms and weather warnings for your area. 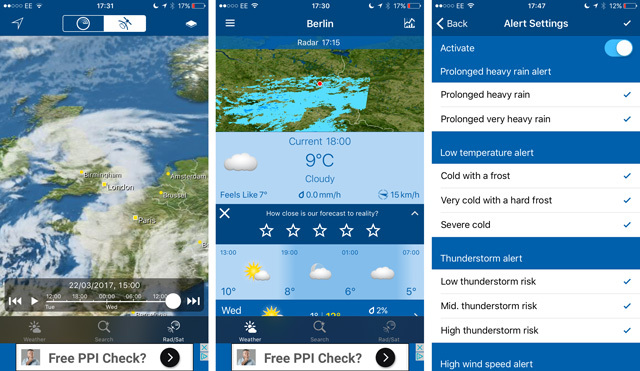 The WeatherPro app, the product of a European weather company, tracks the weather across two million locations across the world. As with many weather apps, you can set multiple forecast locations. Weather nerds can connect to particular weather stations, which may result in better accuracy. A world map lets you browse international weather by dragging and tapping on various cities. 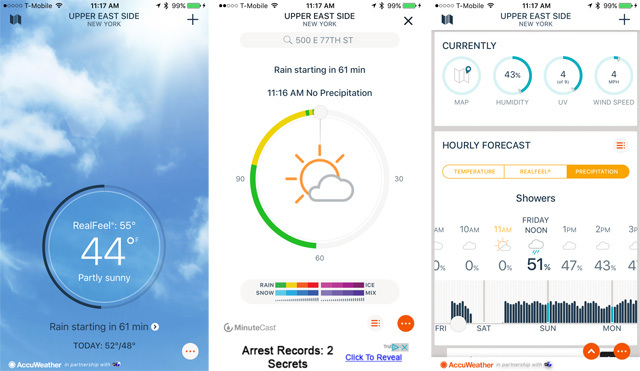 The home screen for each location shows the usual data in time blocks of half an hour, including temperature, conditions, feels-like, precipitation and wind speed with the direction graphically represented. The $3.99 version includes ski forecasts for resorts in 17 countries as well as UV levels and weather temperatures for popular beaches such as those in the Mediterranean and Caribbean. Along with the precipitation radar map included in the free version, the premium service also includes cloud, lightning and heat maps for the United States, Australia and Europe. Out on the high seas (or even on the flat lakes), it’s crucial to be informed about incoming weather. Yachting Weather delivers three-hour forecasts dedicated to winds and waves, with reports on the strength of wind gusts, speed and direction, wave height and direction, and an analysis of the storm risk. 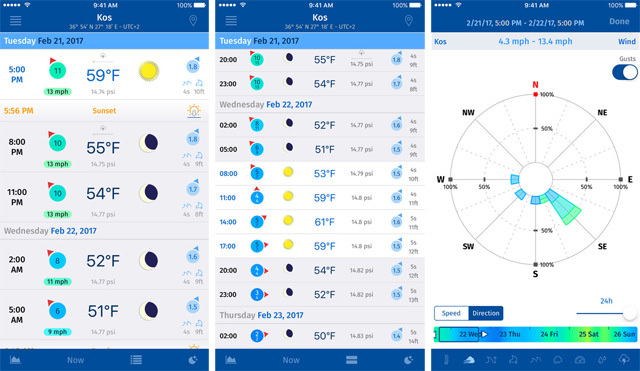 The free version displays three days of these marine conditions in an easy-to-scroll interface with current temperature, pressure and the presence of clouds, rain or sun, punctuated by each day’s sunrise and sunset times. View the weather forecast for daylight hours only (up to sunset) or both day and night (handy for overnight trips). If you spring for the premium version, you’ll be privy to five days’ worth of weather. Sailing Weather similarly displays temperature, rain, and wind direction and speed. Set your own ideal weather conditions, so that days in which these conditions are met are marked with a sailboat icon. View a seven-day forecast and tap through to see each day’s hourly breakdown. 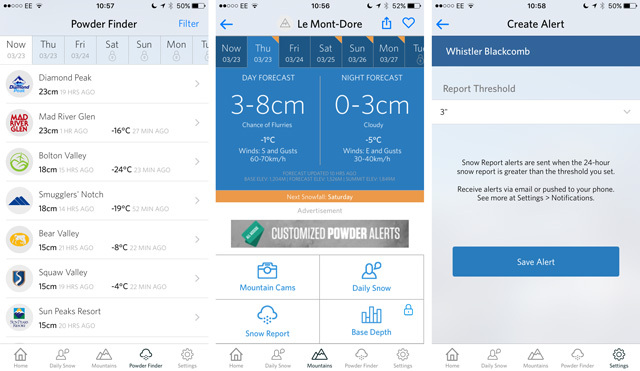 With snow and temperature reports for large and small resorts in Austria, Italy, Switzerland, France, Japan, Canada and the United States, OpenSnow is indispensable for maximizing snow holidays. Save favorite mountains to the home screen for a quick view of snowfall depth, and pin the region for which you want a daily snow conditions report written by local forecasters. The home screen displays a five-day calendar that marks each day with snowfall on at least one of your saved mountains. Tapping through to these mountains shows pictures from resort cams and a report on new snow plus the base depth of snow, slope conditions and the number of lifts and runs that are open. Users of the free app can save five mountains; upgrading for $19 nets you unlimited favorite mountains, a 10-day forecast, 24-hour time-lapse videos from ski resorts and powder day push notifications so you can jump on those impromptu snow breaks. Thanks, very interesting selection! But how about YoWindow Weather app? Why you don’t observe it?